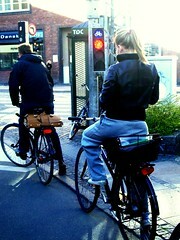 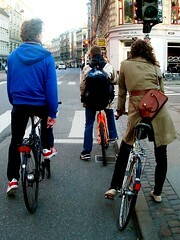 Three chic Copenhagen cyclists going down the same street. 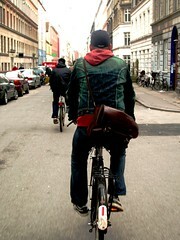 All wearing leather bags. 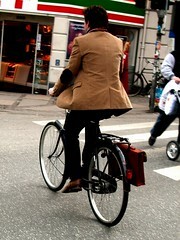 Classic, elegant and practical - just like cycling. 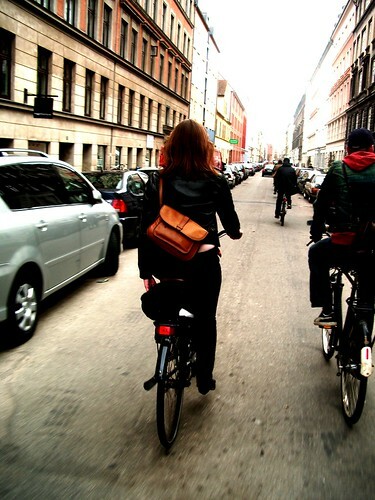 The guy with the leather bag to the right actually created a whole little debate between our readers about the deeper meaning of cycle chic.